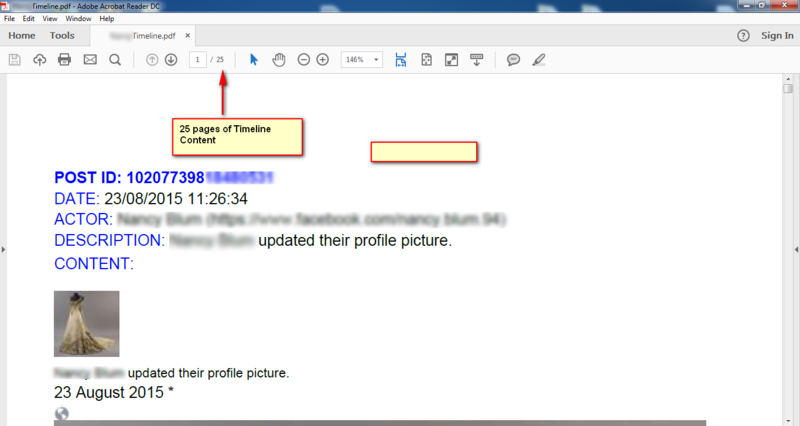 New in WIST 1.6.2 is the ability to export a Facebook user’s entire Timeline to PDF. It is the most comprehensive, compact, and fastest way to export large volumes of Facebook content. 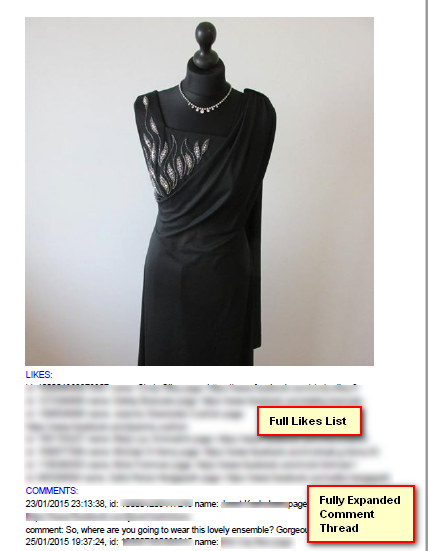 As shown in the screenshot below, the exported PDF contains the profile of the poster, the graphic associated with the post, the text in the post, the complete like list, and the complete fully-expanded comments thread. Several exported timelines shown in the Windows filesystem. You can see that even the 872-page export can be ZIPped and emailed, adding extra convenience.